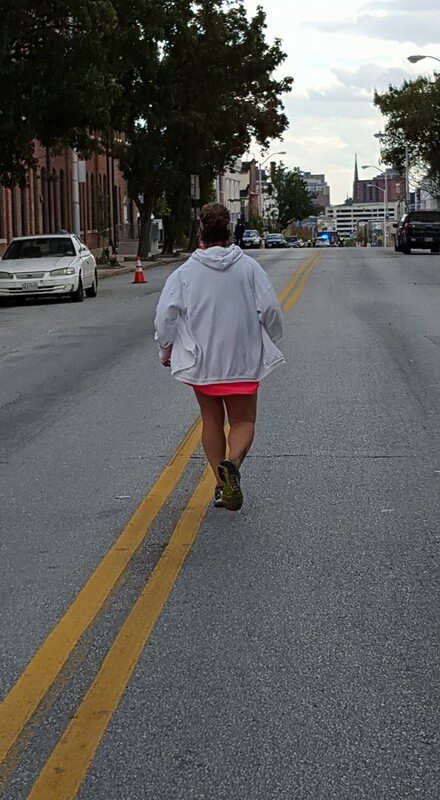 Spirit of a Runner – Baltimore Running Festival | So What? I run. 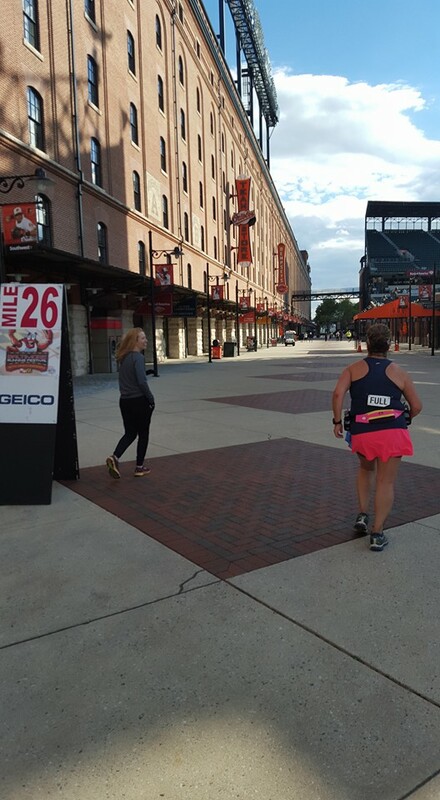 Something special happened this past weekend at the Baltimore Running Festival. 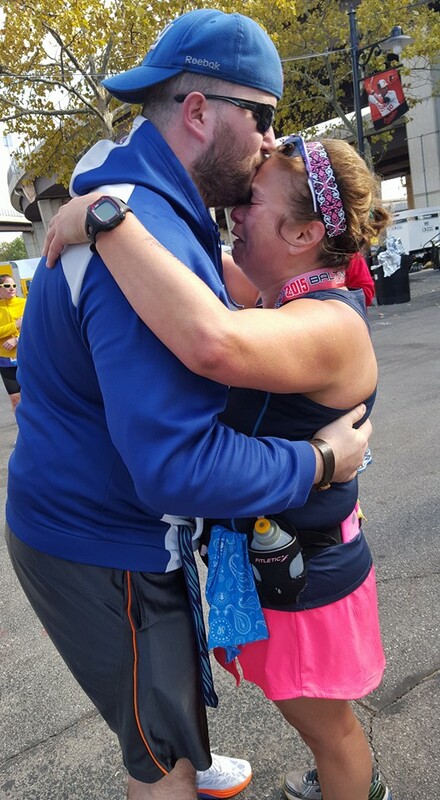 Sid Busch ran his 200th marathon, and my friend Marianne ran her very first marathon. Sid was the very last to finish more than seven hours after the start and Marianne slipped through just before he did. I couldn’t help but think about these two runners and how different they were, yet they were the same. Sid Busch is a 69-year old Navy veteran is known for dedicating his marathons in honor of American soldiers lost in battle. 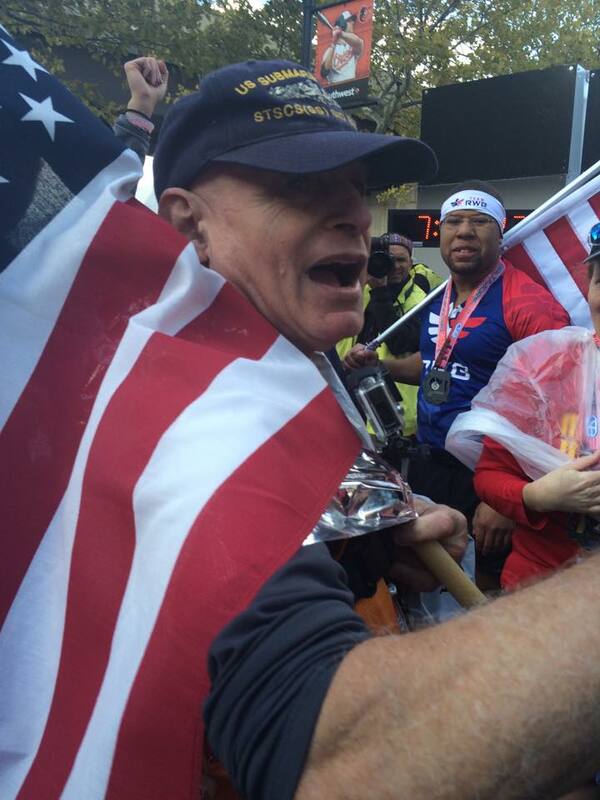 Saturday, he ran his 200th marathon in honor of Marine Cpl. Bradley T. Arms and Air Force TSGT Brian Theobald. He struggled with stomach issues and fought to keep moving forward. He didn’t quit. He didn’t give up. My friend, Marianne, who turned to running about a year ago as she was going through a rough patch in life, was also experiencing medical issues including a very painful, injured foot. And when SAG wagon and the cops tried to pull her off the course, she refused to go. She didn’t quit. She didn’t give up. As runners, we learn how to push through mental and physical barriers mile after mile. Through training, our pain levels become calloused and lowered so what was once very painful is now just a dull annoyance. The voice that used to tell us that we will fail eventually quiets itself and is replaced by a new voice that says we will find a way. And when a runner DNFs because of serious injury or they could not make a cutoff, it’s a devastating blow to our spirit. The pain we feel in our hearts is great and we are left broken, but only for a moment. Our runner’s spirit won’t allow us to wallow in grief for long. Instead, we sign up for another race and train harder and smarter and push to make that come back. We don’t quit. We don’t give up. Sid and Marianne epitomized the runner’s spirit this weekend. Two runners from opposite sides of the spectrum. When the cut off time passed, the crowds were gone, aid stations packed up, and was no water left…they just kept on going. They didn’t quit. They didn’t give up. This entry was posted in Marathon Running, Runners Inspiring Runners and tagged Baltimore Running Festival, Marathon Running, Runner's Spirit, runners, Sid Busch by SoWhatIRun. Bookmark the permalink. Thank you. It was such a special moment and I wish I were there to personally be a part of it. They are both so inspiring. I cried like a baby when I saw that last photo – all those emotions, it’s the most indescribable feeling in the world but one photo captures it all. Beautiful! Tears flowing,that picture of Marianne got to me big time. Great read and thank you for sharing the experience.